A national website and mobile app will be launched Tuesday to help young immigrants learn about the importance of getting their Canadian citizenships in light of tightening government rules. The website, citizenshipcounts.ca, and its accompanying Android/iPhone app explain the benefits of becoming a citizen and the application process as well as providing preparation materials for the citizenship test. 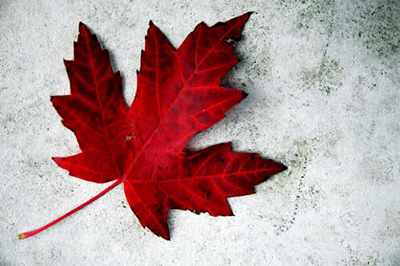 More important, there is a myth-busting section that aims at dispelling misinformation about becoming a Canadian citizen such as having to give up one’s citizenship and passport from the home country, and how getting charged or convicted with a crime will affect a person’s immigrant status. “Many immigrant and refugee youth are unsure of what it means to be a Canadian citizen, or are unaware of their citizenship status,” said Debbie Douglas, executive director of the Ontario Council of Agencies Serving Immigrants, an umbrella organization of 200 groups behind the initiative. We at Brits in Toronto think this is an EXCELLENT initiative. Encourage more young immigrants into the country, and educate them on making a better life for themselves, without thinking they have to give up their own citizenship. p.s. Here’s a bonus site I found while researching this post: Settlement.org = very useful too. This entry was posted in Uncategorized and tagged brits in toronto, citizenship, debbie douglas, ontario council of agencies serving immigrants on October 15, 2013 by britsintoronto.